How many ways do you hold yourself back from being your true powerful self because you have believed a lie about what you can be, what you can do, what you can have? This life we are living is not a dress rehearsal, you know. This is it and while you refuse to question the lies you believe, you are not living to your full potential. For instance, the lie about this world being a zero sum game. If you believe this, you will always put the brakes on your ability to create wealth – Always, always, always. You will think this world works like the game, Monopoly, with a limited sum of money in the pot. In order for you to win the game, someone else has to lose and so you refuse to play to win because you are scared of how competitive you have to be, you are scared that you are selfish to even want good things, you are sooooo scared of everything to do with money and wealth. However, you coat it in nice sounding, spiritual words that mean you do not have to face the fact that you are believing a lie & living beneath your potential. A part of you is ashamed that you would even want to put others down by creating the wealth you KNOW you could create if you paid it a little attention but you are scared, scared of ‘inequality’ – What rubbish!!! Inside each one of us, is limitless potential – LIMITLESS!!! Hear me again – LIMITLESS!!! It is not a zero sum game – you do not take out of someone else’s mouth because you have wealth in your life. Look at that belief – Really look at it! And this applies, whether you have money or not! If you currently have money, you feel guilty or you get super aggressive & competitive as you try to trample on everyone in your path as though that is the only way. Do you really think that Bill Gates having billions somehow means that you cannot have billions if you so choose? One day, ages ago, in a world that seems impossible now, there were no home computers with Microsoft on them and then, the next day, he created something out of nothing except his imagination and now, all PCs have the Microsoft operating system on them unless you have chosen Apple or Linux or something. The point being that he created abundance out of nothing! Nothing at all but his imagination – He DECIDED on a course of action and out of nothing, NOTHING but the stuff between his ears – his vision became real. The internet – Another case in point – One day, it did not exist then the next day, it did. It came out of the abundance in someone’s mind! Inside of you is that very same capability – The possibility of creating something out of nothing. You can say the word and it can become reality. 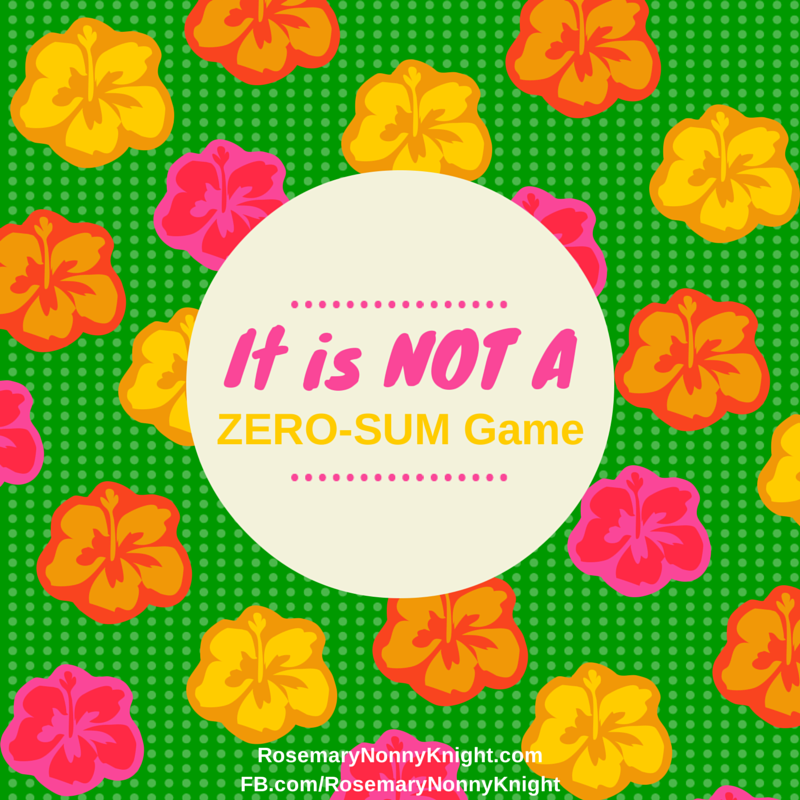 BUT…while you think it is a Zero sum game, then you do not speak the word and the world suffers because of that. People like Bill Gates, the Apple guy, the Wright brothers and anyone who has created anything that made them a ton of cash, created it out of nothing but their imagination and then they created a space for themselves in the market. Some people just took what was already there and they went on to make more of it, to make it better and so we all are served again by their vision. What if you did the same? What if you got away from thinking that you have to steal, compete, destroy others in order to create something cool in your own life? If in anyway, you believe that there is a limited supply, then you will go out of your way to prevent yourself from getting it and you may not even be aware you are doing it. You will feel guilty when you do get something. You will feel quietly superior when you see the failure of other people who are doing better than you financially but struggling with their relationships or other areas of life. You will tell yourself that money is not everything and well, look at that person with all their money but no love. Instead of seeing that it is possible for you to have both money and love and whatever you need or want. Instead of seeing that it is possible to be spiritual AND wealthy. Instead of seeing that you have something incredible inside you that if released could make a whole lot of difference to the people around you but because you are scared of having too much, you hold yourself back. We live on a planet where we, the human beings, can be destructors or we can be creators. The ‘Green’ people will tell us that we are destructors and tell us all the stuff we need to stop doing but who is telling us the things we need to do to create for the service of others, for the service of the planet and if we get financially wealthy on the way, so freaking what?!!!! Set your intention to be useful, to be abundant, to be all that you were created to be. 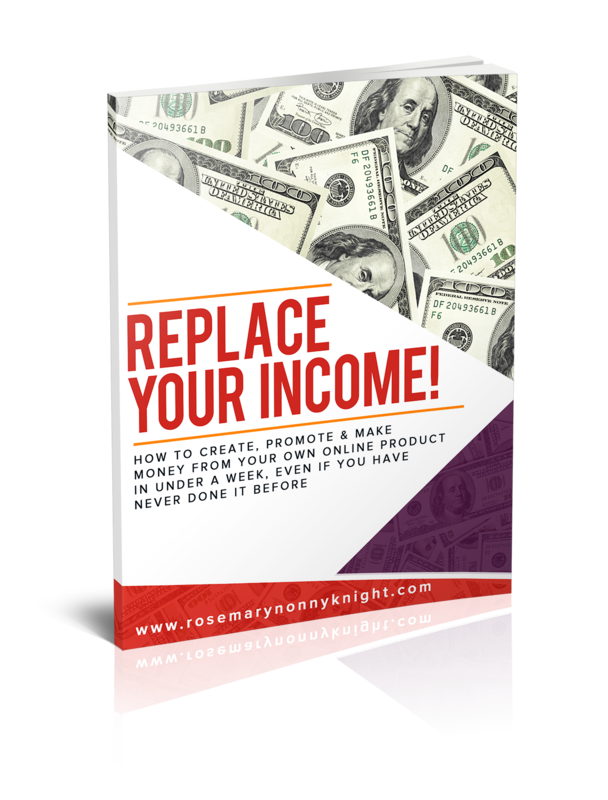 You ARE a creator, just the same as everyone around you – You CAN create something out of nothing and you can go on to sell that and make money. Money that you can then use anyway you like. You can give it all away if you like and then you can make some more. Nothing is limited! Don’t be uncomfortable about it. Question your long held beliefs – They really may not be true. When you find yourself feeling uncomfortable, don’t just accept the truth of those around you who may also be living in fallacy – Dare to question yourself. Dare to look at what you believe and ask if it is true. If you are spiritual and you do believe there is more to life than what you see then you must KNOW that there are no limits!!!! It is NOT a zero sum game, you do not steal from others in order for you to have. You create MORE for others by being, doing, having exactly what you want, what you are created for. Go forth and prosper in all areas of your life, INCLUDING YOUR MONEY!!!!!! It will be an online space where you are in alliance with people ready to be creators, rather than destructors. People who face up to their fears and recognize that it is time to go beyond that into a place of abundance. People who know that they are leaders and that they are currently living beneath their true potential. People who are ready to be in a space of other leaders without competition but to support each other and build each other up. Leaders who know that they are a square peg in a round hole when dealing with those in their life so they need a space to really explore what it would be like to live a full, abundant life and then they get to take it into the world and change the atmosphere around them. There will be practical training, there will be interviews from successful abundant people, there will be mindset repositioning using a wide range of techniques. This will be a place of growth. Only those willing to face down their stuff will be let in and they will grow, it will show in all aspects of their life. Yes, friends, there is abundance everywhere – Let us, as an alliance, tap into it and start to create things out of nothing!